That’s me practice teaching my second week in Namibia. IN 2010, I moved to Africa to teach for a year in Namibia. My job was to teach English and computer classes to Namibian high school students. Little did I know the steep learning curve that lay ahead for me, the American ‘teacher’. In hindsight, I think actually learned more than my students. Looking back there was so much I didn’t know about teaching in Namibia. Some of it is uncomfortable to acknowledge. Here’s what I wish I’d known before teaching in Africa. Many teach abroad programs accept Americans as long as they have a bachelor’s degree. In any subject. The assumption is that an American degree will make you a decent teacher in Africa. I don’t have a degree in education. My bachelor's is in journalism. So with my Namibian students, I struggled with tasks like lesson planning and classroom management. I’ve wondered how much my Namibian students truly benefited from my teaching. Over the years, I’ve met other American volunteer teachers who have the same classroom struggles. They don’t have a strong background in education. And, they struggle as a teacher. The truth is teaching here in Namibia is challenging for most teachers - local, foreign, credentialed and uncredentialed. There are systemic issues that will take years of undoing due to a variety of factors. Take those ESL training modules very seriously. Sit in on classes taught by local teachers. Figure out who the strongest local teachers at your school are and study their methods. Get a good grasp of the local curriculum. But be prepared to find it confusing for your first few months. Chat with previous volunteers who’ve been successful teachers. Find out what worked well for them. So, if you don’t have an education degree will you be totally useless? I don’t think so and I don't think I was. I mentored, worked with students to revamp the student newsletter, helped seniors create resumes, and did many, many other things. Also, many schools (such as where I taught) have major teacher shortages. Your skills, albeit limited, are better than the students sitting for months with no teacher. One of my many computer classes taught without working computers. So we learned computer vocabulary through crossword puzzles! You may be assigned to teach at a school with very limited teaching materials. Private schools across Africa tend to be better resourced while government (public) schools are generally needier. At the government high school I taught at students had to share textbooks, desks, calculators and dictionaries. Sometimes students came to class with no pencils or pens. I had to teach a class of 11th graders in the school cafeteria for a few months. This was because the new block of classrooms wasn’t finished being built. Cafeteria teaching was tough because there were three other classes in there at the same time. Everyone’s voice carried and echoed. Then there was the computer classes I was assigned to teach. For weeks all of the lab’s computers were completely down. I had to get creative and teach computer theory. It was a drag for the students but we got through it. And even when the computers were finally repaired my students still had to sit two and three to a computer. So be prepared for these possibilities. You’ll likely have some days where you’ll be at your wit's end. Your challenge will be to find ways to teach without always having everything you need. Also consider traveling with a few basic teaching supplies, or anything that could make class time special (eg activity or children's short stories books. The house I lived in as a teacher in Namibia. Anyone who's ever taught teenagers knows they can be moody. One day they’re enthusiastic about your lesson. The next they’re acting like your class is torture. I often perceived the latter kind of behavior as disrespect. One day a few of my female students asked me to come assist a 9th-grade girl. The teen was menstruating and having some pretty bad cramps. I ended up giving her some painkillers and something to eat. Then I let her rest on a spare bed in my house while I taught my next class. The situation was a needed wake up call. It opened my eyes to what my female students were sometimes silently pushing through. Many of these girls came from rural villages. Some walked miles to get to school each day. Others lived in the school dorm where conditions were pretty rough. Items like sanitary napkins and painkillers were extremely limited. So if you’re teaching high school aged girls think twice about your assumptions. You never know what a female student might be dealing with. And if you’re considering a fundraising project, sanitary products for young women coming from rural areas is a great idea. Attending a birthday party I was invited to in one of my school’s dormitories. So, I quickly mentioned that hostel (dormitory) life can be rough in some African schools. 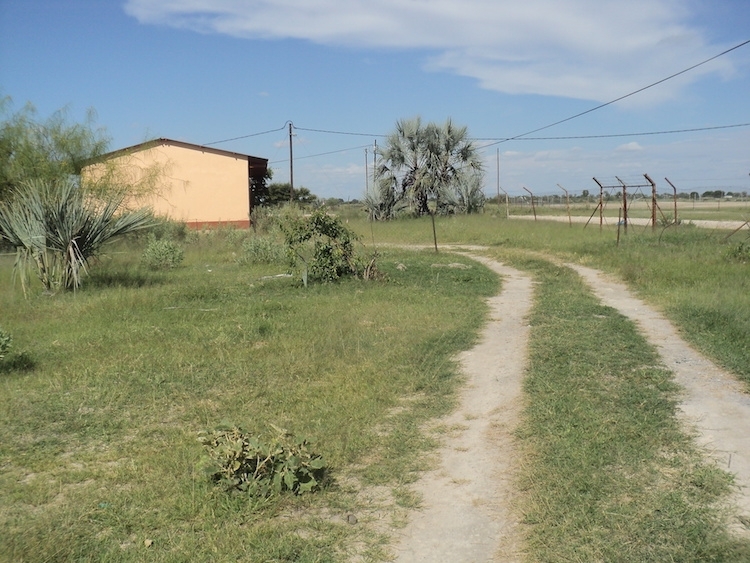 At the Namibian school I taught at the hostels were pretty depressing. Students often slept eight to a room and two to a bed. Windows were broken so during Namibia’s winter season the hostels were pretty cold. There weren’t enough hostel bathrooms for the amount of students who used them. The conditions weren’t hygenic, to say the least. Mealtime was also dicey. Sometimes there wasn’t enough food for all the students. Other times it simply wasn’t that tasty - just nourishment. Many of my ‘day’ students lived at home in the village. They often had to walk long distances each day to and from school. When they got home they’d have chores to do, which in the village can be a lot of manual work. After they’d finally having time to study. Now add all of this to trying to be a stellar student. It’s not an easy road. Being aware of your students’ life outside of school hours will help you understand the challenges some have in the classroom. When I first moved to Namibia I assumed Namibians who spoke English would automatically understand me. That wasn’t the case at all. My American accent was actually difficult for many of my colleagues and students to understand. Early on I actually thought my colleagues didn’t want to talk to me. Months later one teacher said she initially avoided talking to me because I spoke too fast. She said she couldn’t understand what I was saying. A student giving me a blank stare as I spoke was another sign that my accent was getting in the way. So I learned to slow down my speech, enunciate my word and keep sentences simple. In the classroom I learned to constantly check to make sure my students understood what I said. They were generally too shy to say they didn’t. Writing out instructions on the board was one simple strategy I learned to ensure clarity. Or having other students repeat what I said to their friends. Now, I have a good eye for cues that someone isn’t understanding me and that I need to slow it down. Remember how I suggested taking pointers from local teachers who’ve done a great job? You should also be open to adding your own flavor to teaching. If the norm is to teach strictly by the syllabus, you can still bring in new resources from time to time. Consider teaching a class outdoors or taking your students on a field trip. When I taught Angolan students here in Namibia, I had a lot of free reign. It was up to me on how to design my conversation and grammar lessons. A few teachers led their classes one way. I decided to switch it up and incorporate engaging lessons that I’d also enjoy. My students generally had an awesome time and really thrived. They appreciated the different style I brought to the classroom. So, don’t be afraid to deviate from the norm. I started my teaching job in Namibia assuming everyone would immediately become my friend. I was expecting lots of chit chat and open arms of welcoming from my colleagues. While some were definitely welcoming most kept a polite distance. It took a while before they opened up to me. I was also a foreigner and a black one at that—this made me a bit of an enigma. It took some time but by about three months in we were all pretty chummy. So, don’t feel funny if at first your new coworkers don’t seem to be warming up to you. The local culture could be more reserved than your own. But over time things will likely ease up a bit. Many of my students knew little to nothing about the transatlantic slave trade. Their history textbooks had little to no focus on slavery. Several of my colleagues didn’t know that much about it either. One teacher even told me she didn’t know there were Black people from ‘countries like that’ (America). So, as a teacher of African descent be prepared to possibly have to explain your heritage. Bringing some black history teaching materials and games along on your move to the country can come in hand. You can easily integrate your history into English, computer and other subjects. Have you taught abroad before? What do you wish you knew beforehand? What did you learn? Thinking of volunteering abroad in Africa? Find out how you can turn it into a career on the continent too!